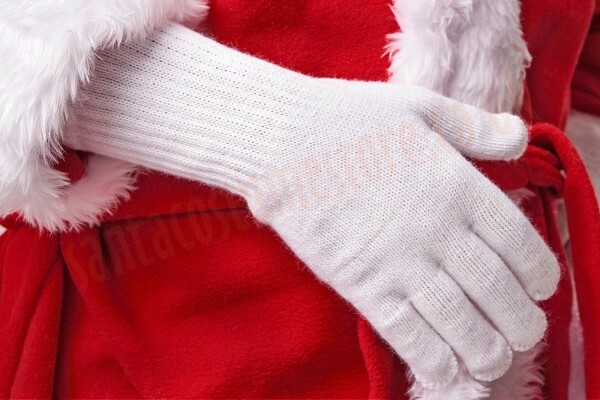 Every Santa who has had to force his way through the snowdrifts and freezing cold with a sack full of presents knows that nice warm gloves are absolutely essential. 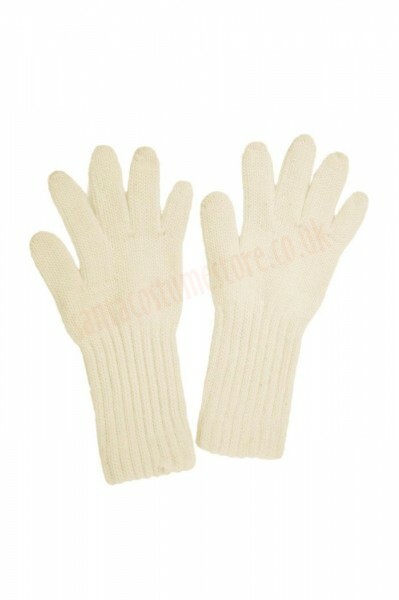 We have thick white gloves, made of knitted fabric, for all those cold-braving Santas. They suit the standard versions of our Santa suits – both those made of fleece (with a jacket or coat) and those made of velour. 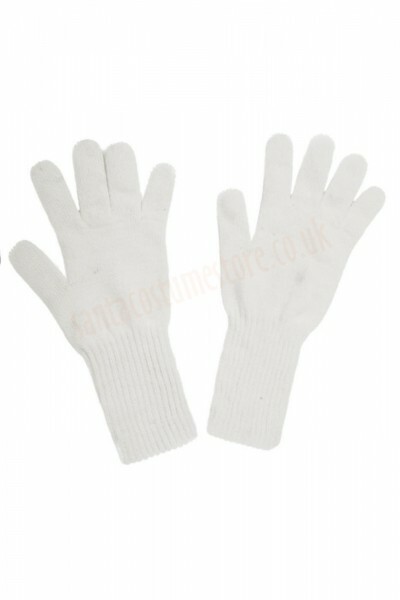 For the deluxe and super deluxe models of our outfits we have ecru Santa gloves to offer. 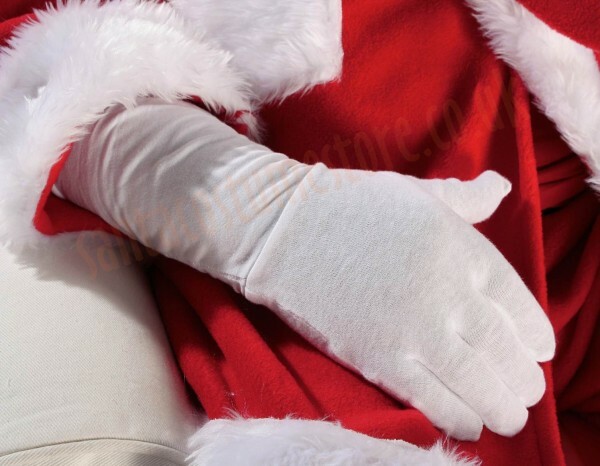 By keeping his hands warm, these thick gloves will help Father Christmas maintain his jovial spirits as he amuses the kids at all those outdoor Christmas fairs and other events – and the children’s joy will certainly make it all worthwhile.